You Can Earn the Southwest Companion Pass With Starwood Points! If I transfer points from Starwood to Marriott and then apply them toward Marriott’s “Hotel + Air Package” would that count towards the Southwest Companion Pass? The answer is yes, Scott! You cannot directly transfer your Starwood points to Southwest. But now that Marriott and Starwood have merged, you can transfer your Starwood points to Marriott, and then transfer them to Southwest through Marriott’s Hotel + Air Package! Plus, those points do qualify toward a Southwest Companion Pass! Emily and I Consider the Southwest Companion Pass to Be THE Best Deal in Travel! I’ll show you the process. And give you some tips on how to make the most of this new way to use your Starwood points! 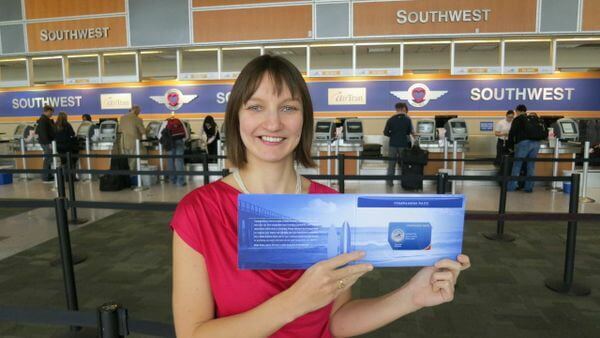 The Southwest Companion Pass Is Now Easier to Earn! The Southwest Companion Pass lets your travel buddy fly with you for (almost!) free whenever you travel on Southwest. It doesn’t matter if you book your flight with points or pay cash – your companion can tag along for the cost of taxes and fees as long as Southwest is selling seats on that flight. This perk can be worth thousands, depending on how often you fly! 110,000 qualifying points in a calendar year (January to December). Your Companion Pass is valid from the date you earn 110,000 Companion Pass qualifying points up to the end of the next calendar year. So, if you earn the Companion Pass on November 2, 2016 (for example! ), it will be valid until December 31, 2017 (~14 months). And if you earn the Companion Pass on January 1, 2017, it will be valid until December 31, 2018 (~24 months)! So earning the Companion Pass early in the year can get your companion nearly 2 years of flying on Southwest. Starwood has lots of airline transfer partners, but Southwest isn’t one of them. 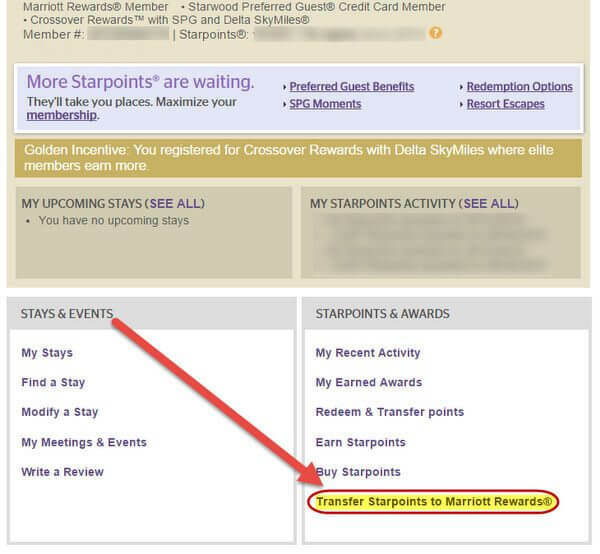 Now, thanks to the Marriott-Starwood merger, there is a great workaround to turn your Starwood points into Southwest points. And earn the best deal in travel, while you’re at it! Here’s what you need to do. 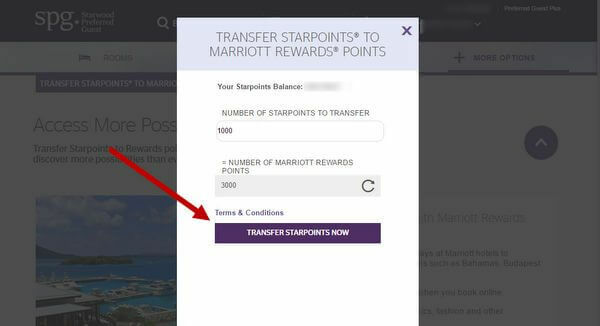 After you’ve linked your Starwood and Marriott accounts, you’ll have the option to transfer your points between the programs. Sign-in to your Starwood account and you’ll immediately see the screen below. 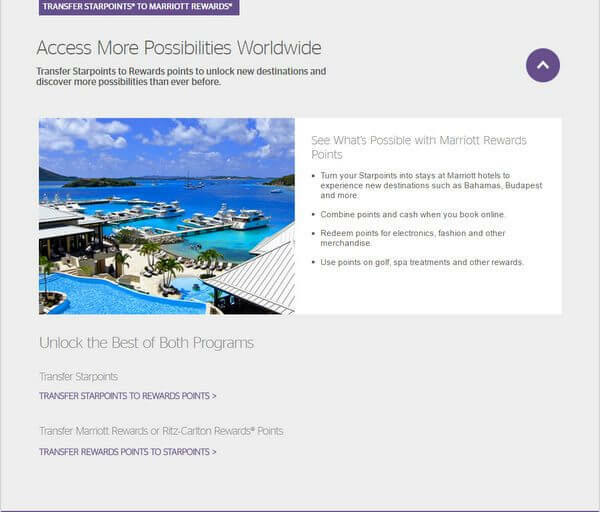 From this page, you can transfer points back and forth between your Starwood and Marriott accounts. You’ll be able to transfer your Starwood points at a ratio of 1:3 to Marriott (1,000 Starwood points = 3,000 Marriott points). After you’ve transferred your points, visit Marriott’s Hotel + Air Packages (log-in required). You’ll have 4 packages to choose from. Package #3 will help you convert your Marriott points to Southwest points. 90,000 Starwood Points Transfer to 270,000 Marriott Points. 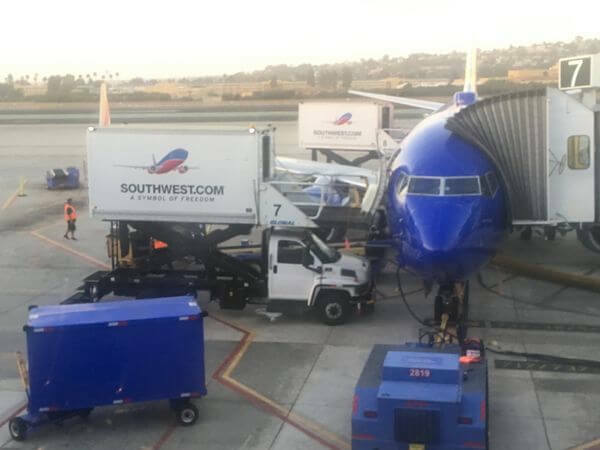 Which Get You 120,000 Southwest Points – Enough to Earn the Southwest Companion Pass! You’ll need a total of 270,000 Marriott points in order to get the Southwest Companion Pass with Marriott’s Hotel + Air Package. Because Starwood points transfer to Marriott at a 1:3 ratio, you’ll need to transfer 90,000 Starwood points to Marriott to get 270,000 points (assuming you have zero Marriott points). Remember, in order to get the maximum value out of your Southwest Companion Pass, it’s best to wait until the beginning of the year to earn the required 110,000 points. That way you can get nearly 2 years of use from the Companion Pass! Once you redeem your Marriott points for a Hotel + Air Package, your miles should be deposited into your account within ~6 weeks. Although it’s usually much faster. And, you’ll have 12 months to use your 7-night certificate at a Marriott Category 1 to 5 hotel! Note: There are ways to get Southwest points which will not qualify for the Companion Pass. While Southwest does not officially say earning points from Marriott Hotel + Air Packages qualify to earn the Companion Pass, it does work in practice. Just be aware that they can close this loophole at any time! If you need more Marriott points, you can apply for the Marriott Rewards Premier credit card, which currently comes with a sign-up bonus of 80,000 points after completing minimum spending. And the Starwood Preferred Guest® Credit Card from American Express comes with a sign-up bonus of 25,000 Starwood points, which translates into 75,000 Marriott points (25,000 Starwood points X 1:3 transfer ratio = 75,000 Marriott points). Plus, Chase Southwest credit card sign-up bonuses count towards the Southwest Companion Pass! If you sign-up for a Chase Southwest credit card, you won’t need as many Marriott points to earn the Companion Pass. 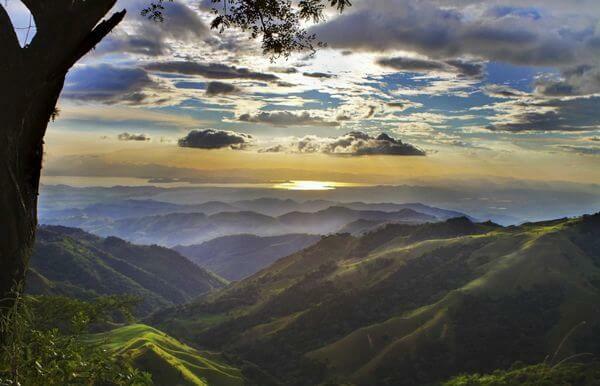 Fly to Costa Rica With Southwest Points, and Bring a Companion for Cheap! And remember, Chase Ultimate Rewards points transfer to Marriott at a 1:1 ratio as long as you have the Chase Sapphire Preferred, Chase Sapphire Reserve, Chase Ink Plus, or Chase Ink Bold (no longer available). But this isn’t usually a good deal, so only use this method if you’re very close to the award you want. You can now use your Starwood points to earn the Southwest Companion Pass! By transferring your Starwood points to Marriott, you can book a Hotel + Air Package and earn Southwest points that qualify towards the Companion Pass. It’s a good idea to earn your Southwest points in the beginning of the year, so you’ll have the Southwest Companion Pass as long as possible. If you need more Marriott points, you can sign-up for the Marriott Rewards Premier card, or the AMEX Starwood Preferred Guest card. You can also sign-up for a Chase Southwest card, which earns points that qualify towards the Companion Pass. Will you transfer your Starwood points to Marriott to earn the Southwest Companion Pass? 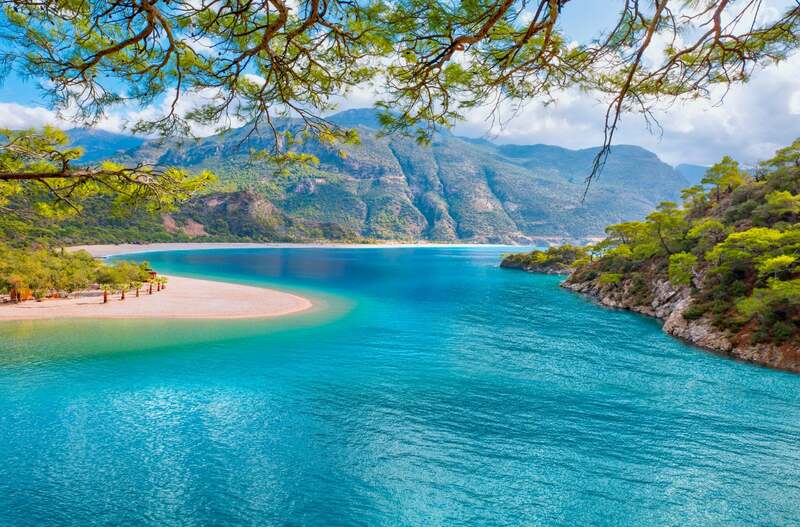 We are teachers, so a 7 day trip is either during the summer or spring break in March–and March is preferable as the change of weather is welcome. I have looked up the resort in Cancun we will probably book & it shows good availability using reward points at both times we are considering–is that what I need to look at to determine if I can use the certificate at that time? Or do I need to call? 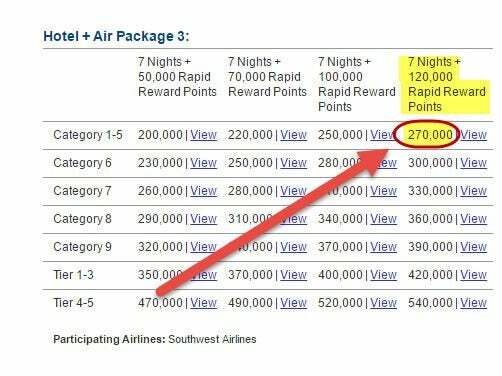 On 1/2/17 I took advantage of the Marriot 7 Day + 120,000 RR points to earn the CP and later found out Southwest had “closed the loophole”. I was very excited to hear that they offered the extension and expected to see the CP had been awarded to me because the points had posted to my account. As of now the CP has still not been awarded to me after to very different explanations from Southwest. On my first call they told me it would take 4-6 weeks to be given to me even though the points have already posted to my account. I called again a couple days later because that explanation didn’t sit right with me. The second time I called I was told that RR points deposited into my RR account using this method were not eligible for the CP. The Southwest rep I spoke to even asked me who advised me to do this because it doesn’t work. Just a warning to those of you who want to go this route. I’m still optimistic I will get it but it’s not going smoothly. I will call again in a day or two and see if 3rd time is a charm. Update: You now have until March 31 to do this. I read 10 blogs about the process described above and yours was by far the easiest to follow!!! 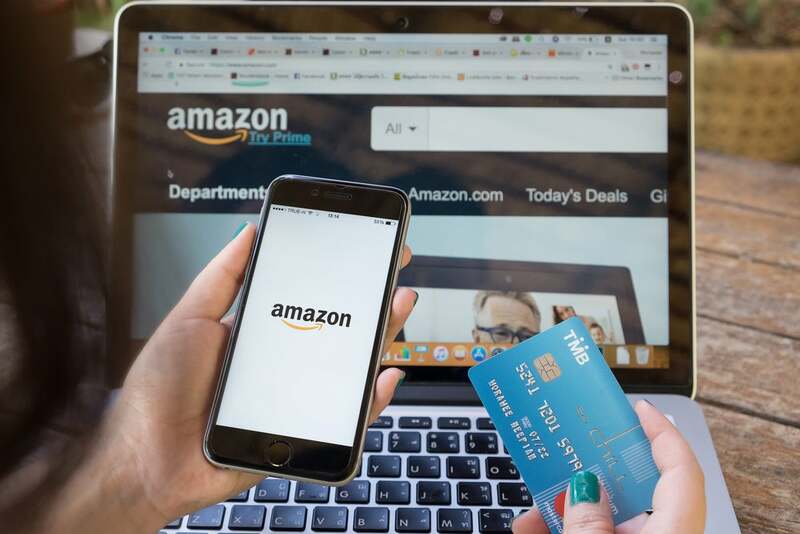 MUST you book a SPECIFIC Hotel & Air package RIGHT AWAY, or can you transfer the needed SPG points and commit to a Hotel & Air Package in general, but then choose where specifically to fly & stay at some point later? Thank you. MUST book a SPECIFIC Hotel & Air package RIGHT AWAY, or can you transfer the needed SPG points and commit to a Hotel & Air Package in general, but then choose where specifically to fly & stay at some point later? Thank you.